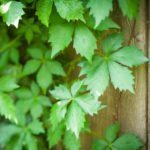 Neighbor planted Virginia Creeper on fence between his and my property. It is very invasive into my property. If let go it will spread and try to climb up side of house. The more I trim it, the more it seems to grow. Is there anything I can do to control it? 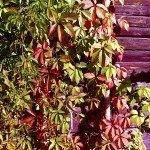 It can be very difficult to get rid of Virginia Creeper. It is considered an invasive plant. Here is a link that may help with suggestions on how to get rid of it. As to who will pay for any costs perhaps your neighbor can split any cost incurred.